I am putting up this profile on behalf of my son.  He is working with TATA COMMUNICATIONS LTD as TELECOM ENGINEER. He has done his Bachelors from Rizvi College of Engineering. We hail from Sawantwadi. His mother is a homemaker, father is employed, and has 3 sisters, 2 of whom are married. His friends describe him as Affectionate, Ambitious, Caring, Easy-Going, Energetic and Funny. His hobbies include Eating Out, Shopping, Sports - Outdoor, Technology and Trekking / Adventure Sports. Ours is an upper middle class, nuclear family with traditional values. We are a reputed family from Mumbai. His father is a working professional while his mother is a homemaker. He has 3 sisters out of which 2 are married.